Bear In Mind is an easy and fun To Do list and reminder app, aimed at keeping children mindful of their daily and weekly tasks. It features a morning alarm, with personal ringtone option, a daily task list, which can be set to repeat, and VIP contacts for making quick calls. 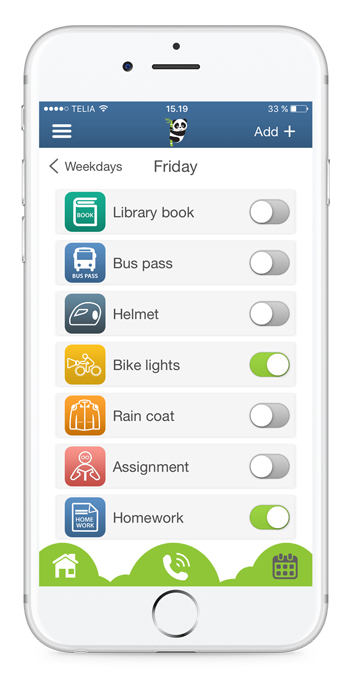 Set recurring weekly tasks, with your own ringtone reminders, to ensure you never miss a task again. Best of all, Bear In Mind fits around your schedule! Want to know what’s next on the agenda? Simply look at your lock screen – it couldn’t be easier. Once a task is complete, – check it off the list and Bear In Mind will help you with the next one. If you’re a parent you can rest easier knowing Bear In Mind is reminding your kids to take out the rubbish, get their homework done, or come home before it gets too late. Bear In Mind is an ideal companion for your children. Bear In Mind is available in English, Spanish, German, Chinese, Japanese, Portuguese, Hindi, and Danish. Sign up and you will be the first to know when the Android version is launched. Easy and clear overview of your tasks for the day. Never forget an appointment or important task again. 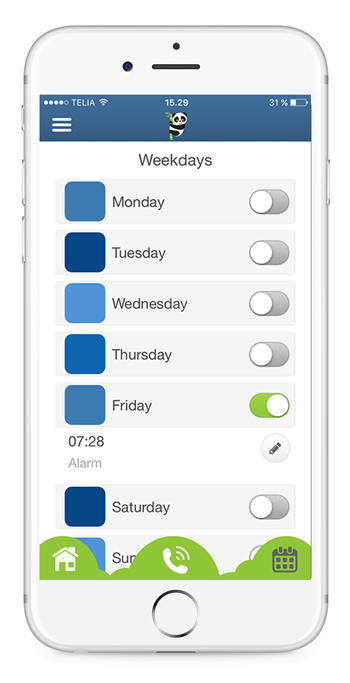 Enable a weekday, set time for morning alarm and select a tune and you are done. Quick and easy. Enable a task or create your own custom task. You can furthermore set 2 reminder alarms on each task. Few clicks and you are done. Do you want to call your music teacher to let them know you are late.? 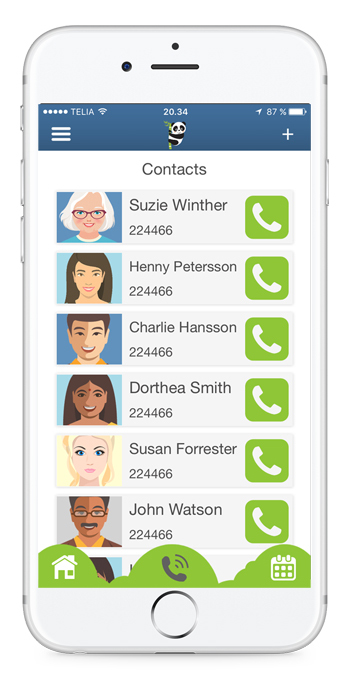 Create your contact list with photos and make quick calls.